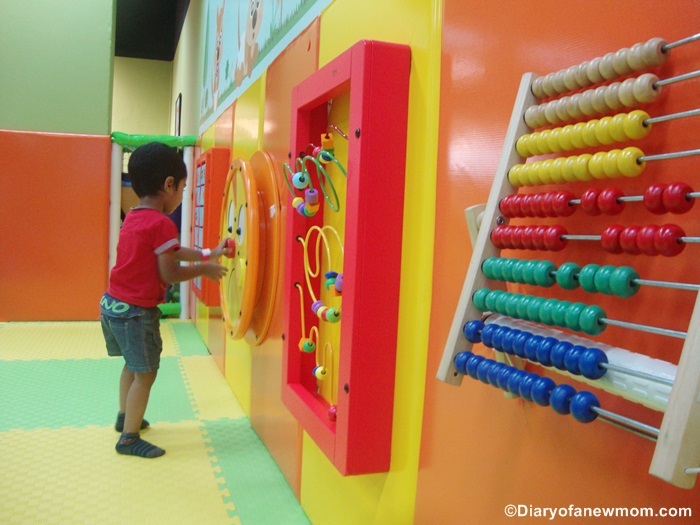 Playkeroo indoor playground is our newest finding. 🙂 These days I like to visit playgrounds with my kid. We visit both outdoor and indoor playgrounds in Singapore to create the best playing environment for our kid. It is no secret that playing is really important for growth of kids. There are many benefits of active playing. That is why as parents we have responsibility to create opportunities for our kids to play actively and happily. 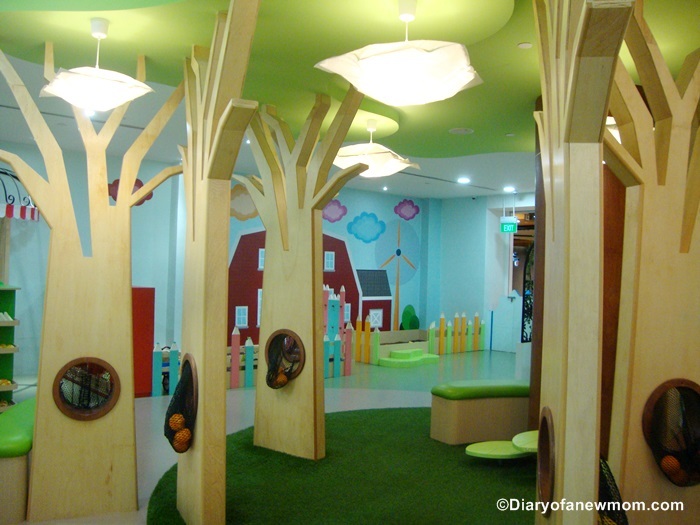 So, there is another indoor playground in Singapore which you can bring your kids to play. 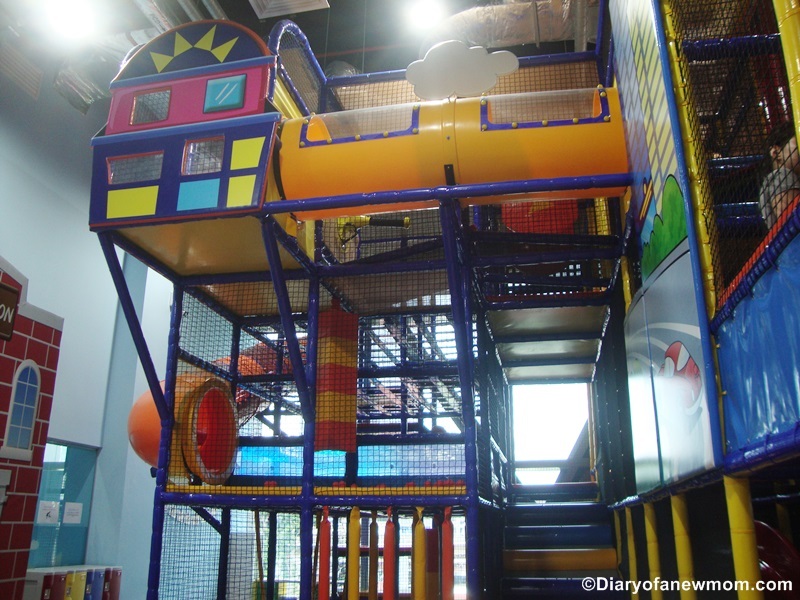 It is Playkeroo indoor playground! Playing is really important in early childhood stages.What do you think? 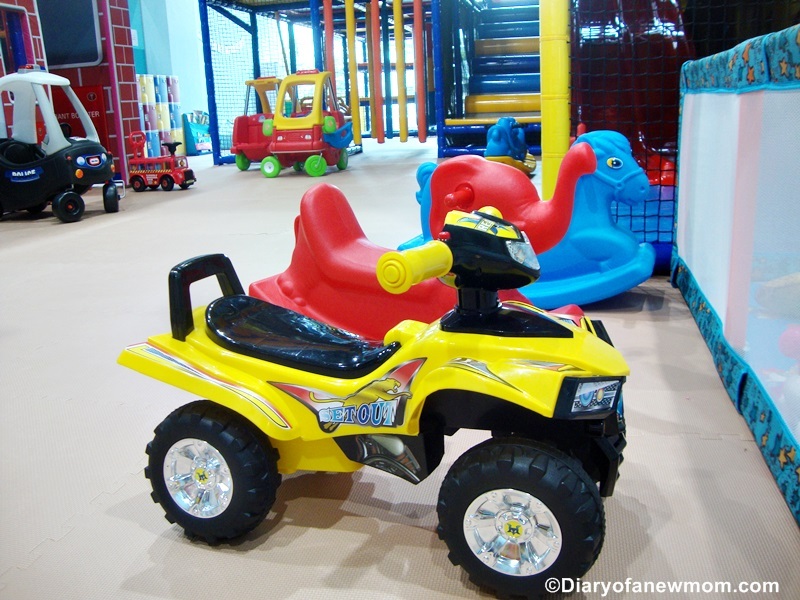 I think it is good if I share some details about Playkeroo indoor playground before sharing our experiences there. 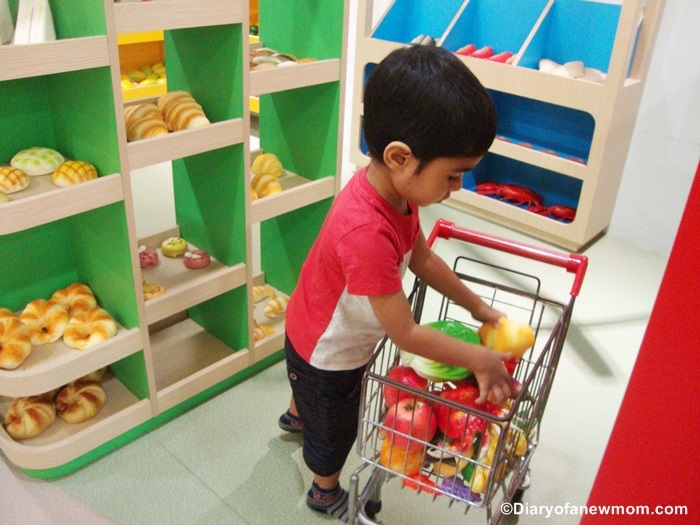 Playkeroo is located at 100AM Mall which is near to the Tanjong Pagar MRT. It has some unique features including facilities for nail pampering. 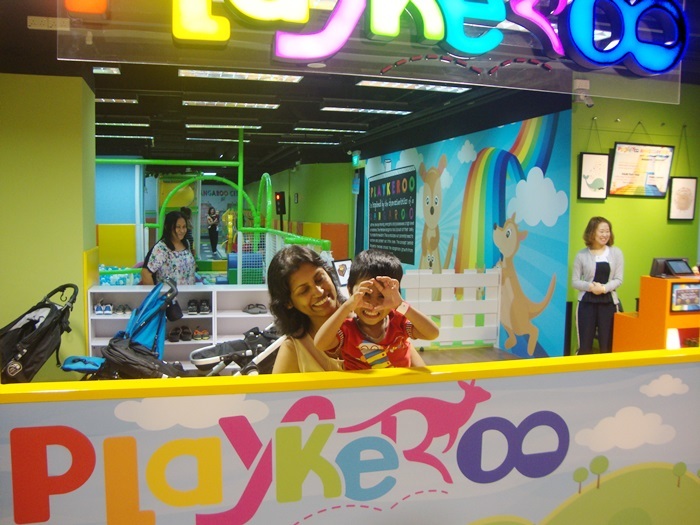 So, mommies, if you want to find some ‘me time’, you can visit Playkeroo! Let your kids play in the playground while you are having a nail session at the salon. Isn’t this sound a good idea to relax yourself? 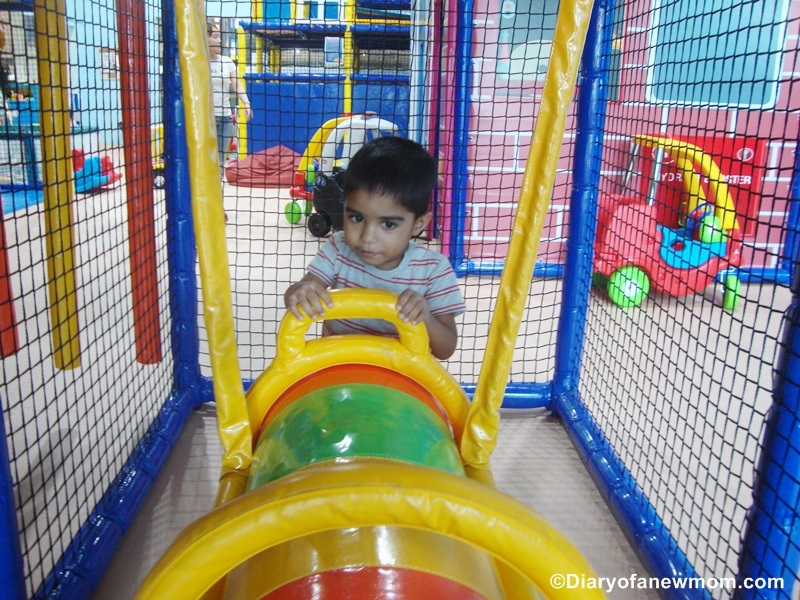 Well, let me share our experiences at the Playkeroo indoor playground! 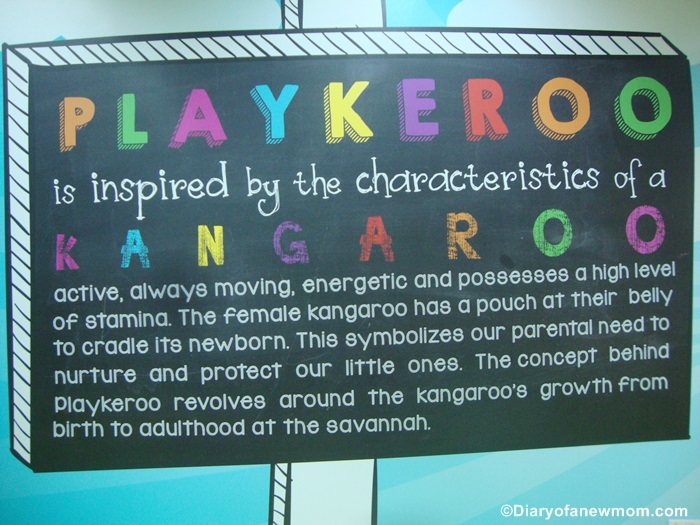 Playkeroo is inspired by the growth of a baby kangaroo. It provides safe and beautiful play space for little kids below 7 years old. There is a special area for each age group to involve in play, be it running, crawling, sliding or just imaginary playing! 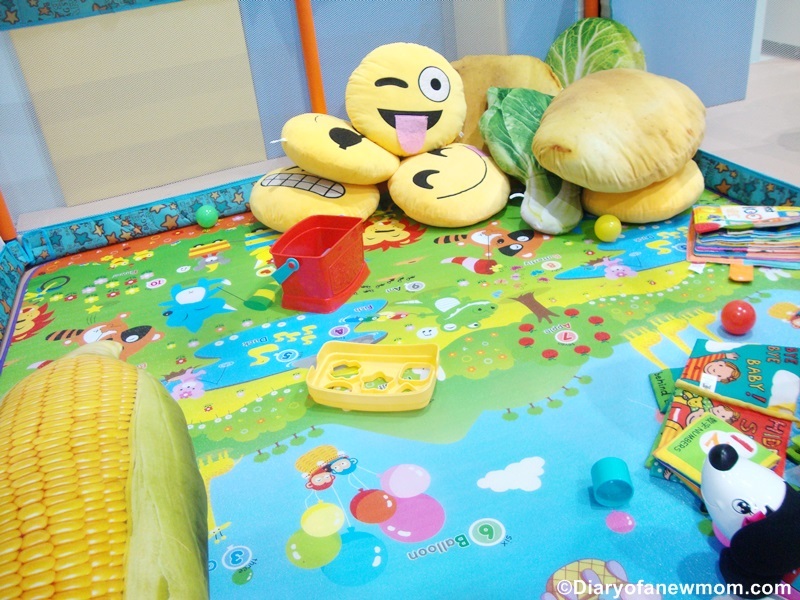 Here are some of the highlighted play areas at the Playkeroo indoor playground. 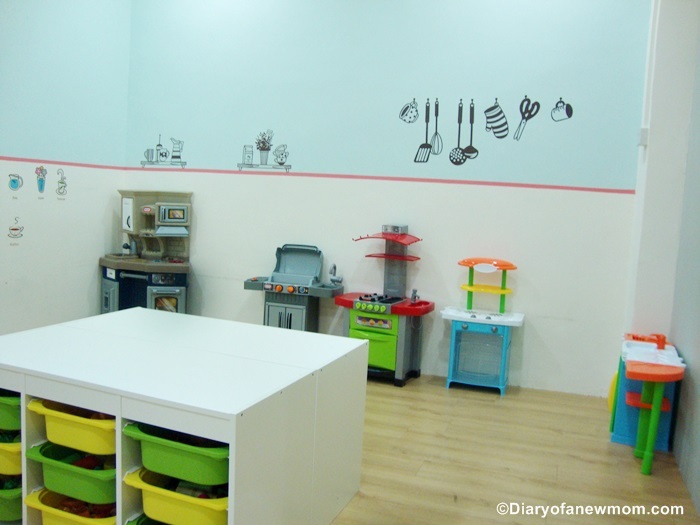 This area is for infants and young toddlers to play actively while improving skills such as fine motor skills and other skills including crawling and walking. In this area we found activities such as slides, ball pit and other play items which help little babies to be active. On one side of the play area, there are activity boards. 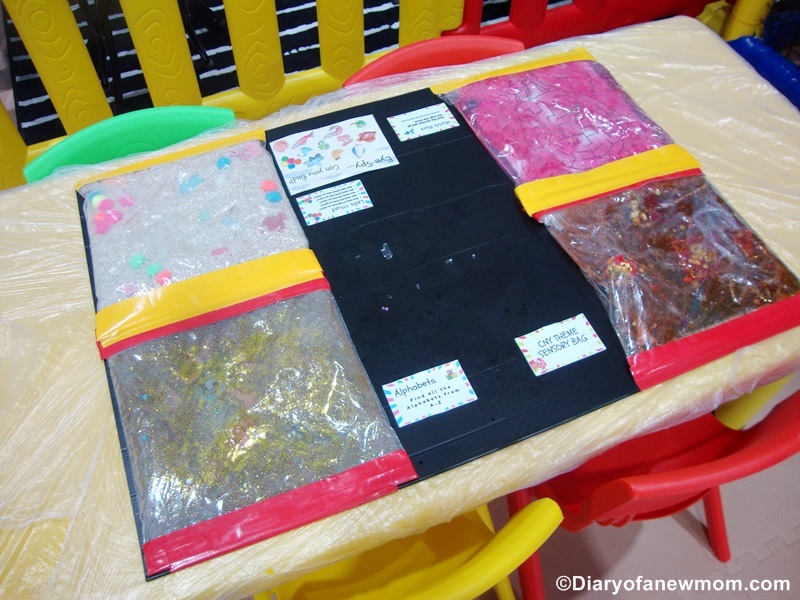 These colouful boards are with different activities which babies can experience. 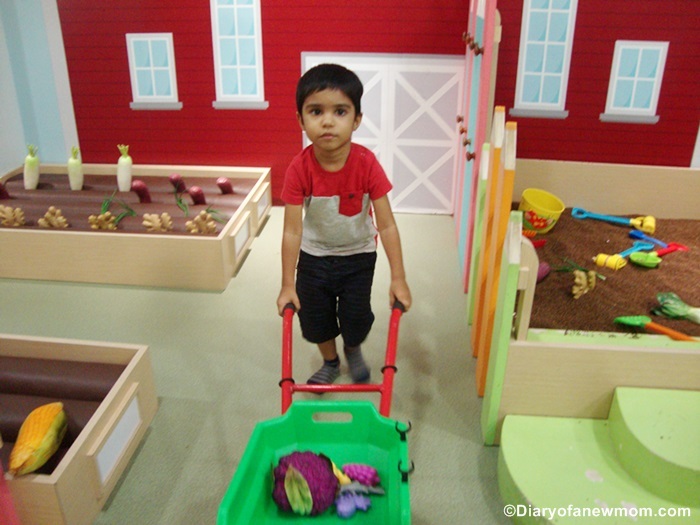 Playkeroo Indoor Playground Review: Activity boards are really fun and attractive.Don’t forget the educational value! 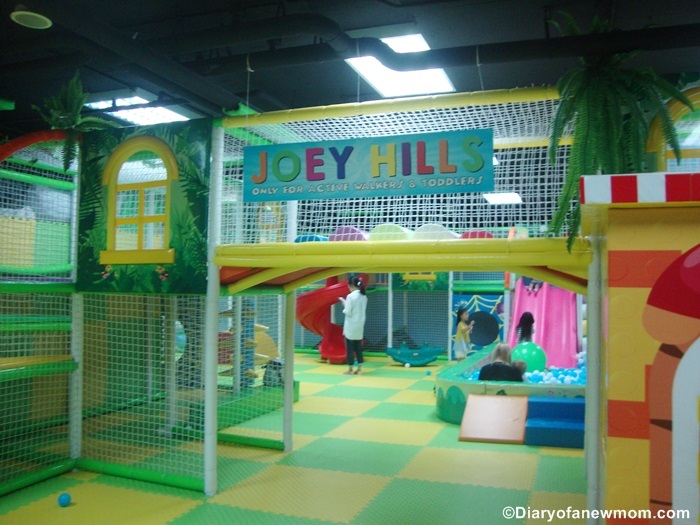 Ball pit, slides and there are other activities which creates Joey Hill is an attractive play area for toddlers and grown up kids. Lot of obstacles to pass! 🙂 But it was so much fun! This can be the most attractive area for my kid. As he mostly love on imaginary play these days, my kid spent most of his time in the Kangaroo City.He also loved all the ride on toys at the Kangaroo City area. In the Kangaroo City, kids can experience the city life. They will experience driving along the city while following the traffic signals. There are many vehicle toys in this area which kids can play. The fuel station and car wash area are really interesting. Its time to clean the car! 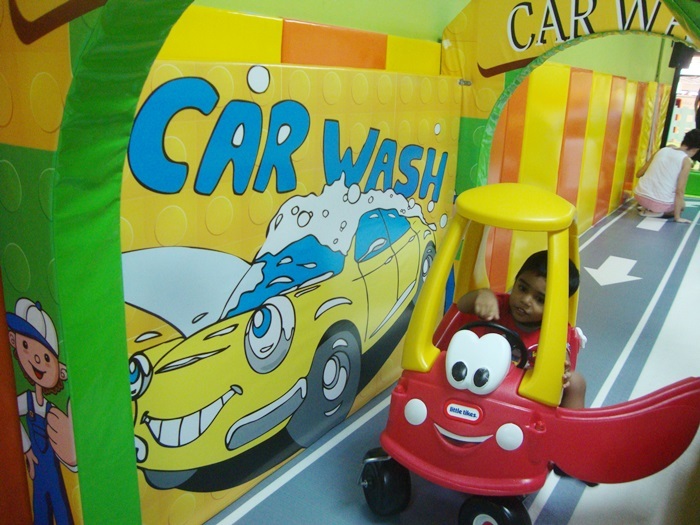 Kids can also enjoy kiddy rides when you visit Playkeroo. It is completely a play area for kids with different play activities. 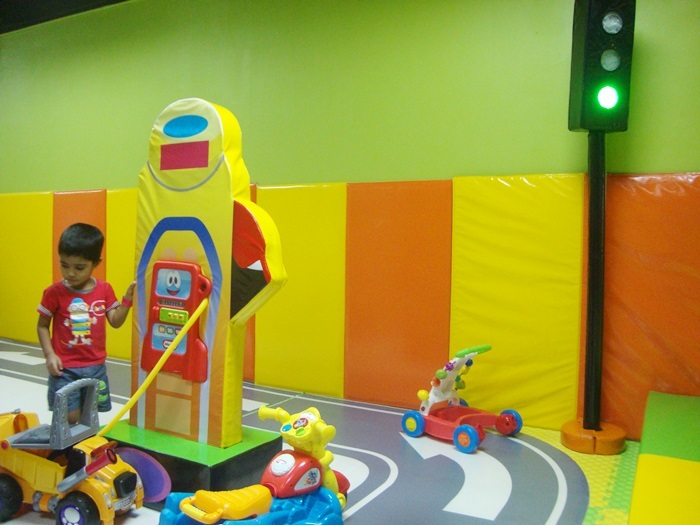 Other than the main play areas, you will see many services and facilities in Playkeroo indoor playground. 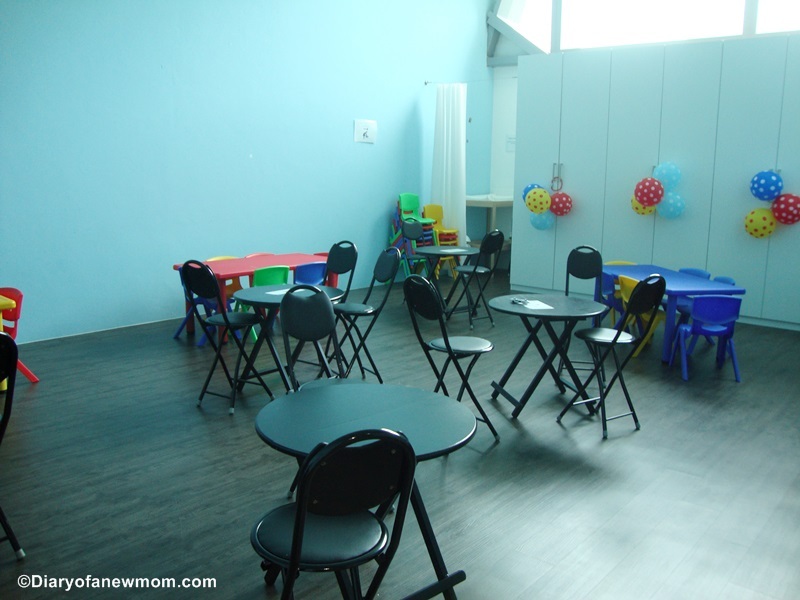 You cannot forget this spacious party room in Playkeroo. It is really spacious and with beautiful backdrop which you can easily plan your birthday parties or any other kids events. There are different party packages available which you can easily select the best package for your kids party. You can check the details on their website. Party room is really spacious! 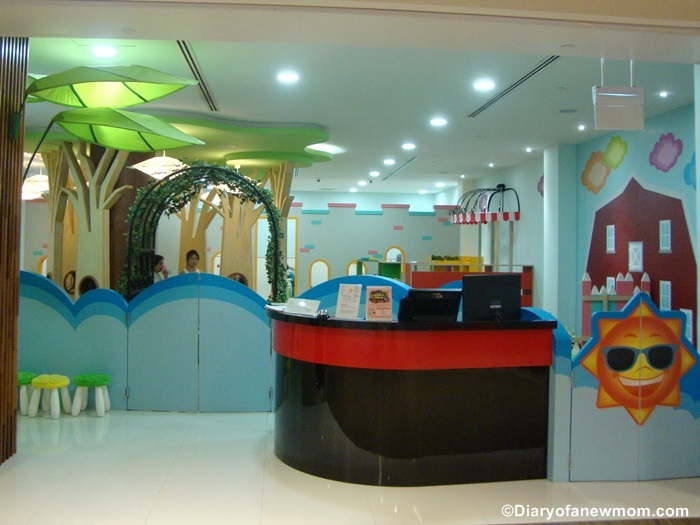 Attached to the playground, there is a nail salon which moms can pamper themselves or spend time with little cuties. Manicure rates start at $15 and there are different services available. 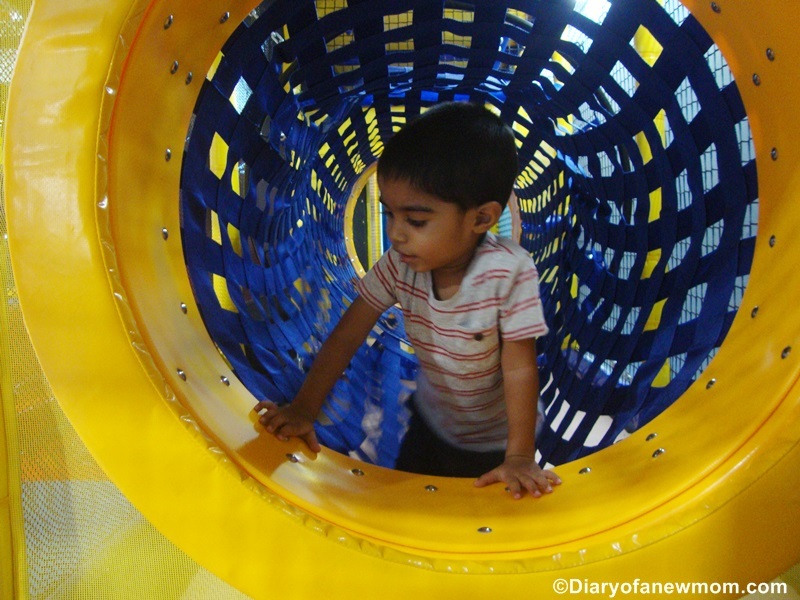 Moms, don’t worry visiting the Playkeroo and spending long hours! There is a room with nursing and diaper changing facilities. Well, so far what I explained are the details and facilities of the Playkeroo playground. However, I am sure you found that this playground is another interesting play area for kids. You can see how my kid is happy with Playkeroo. 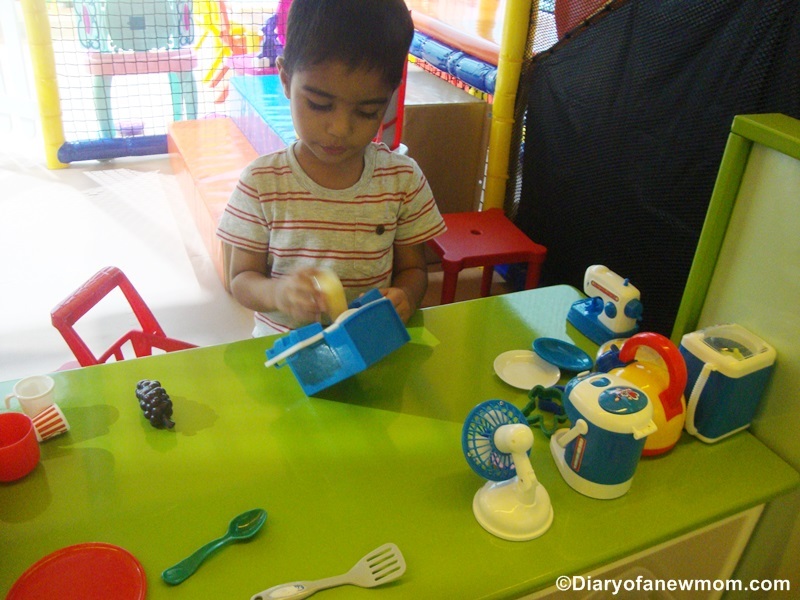 As a summery we love our experience there at the Playkeroo. There are play facilities for each age group. It is a clean space and you don’t have to worry about hygiene issues. 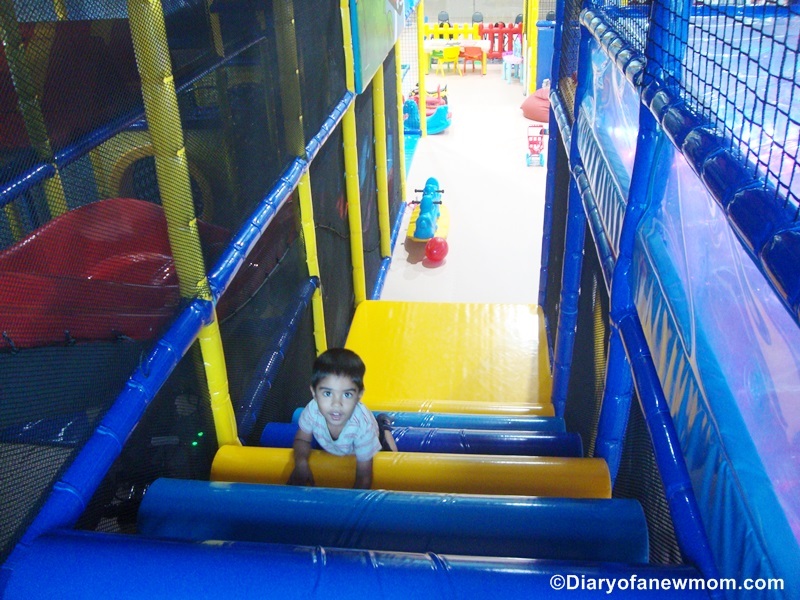 Kangaroo city is our kid’s favourite play area which I want to highlight in Playkeroo review. 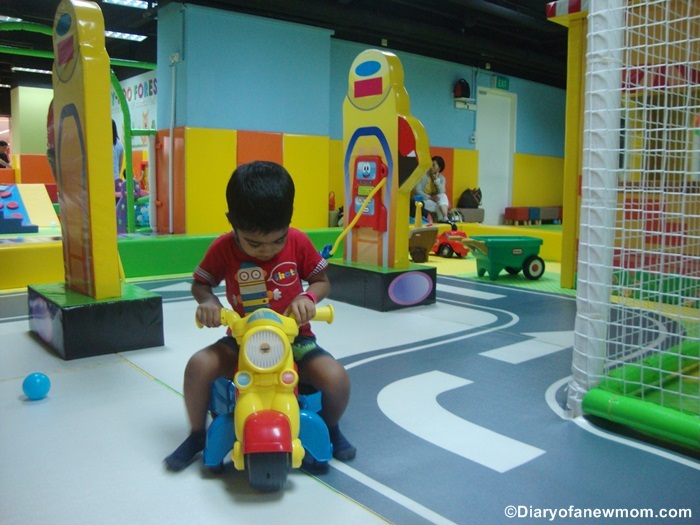 You will find other active play facilities in other Singapore indoor playgrounds too. But this city life experience is unique for Playkeroo. Young kids will love such experiences for sure. I could see this area with many kids who were playing with ride-on toys. 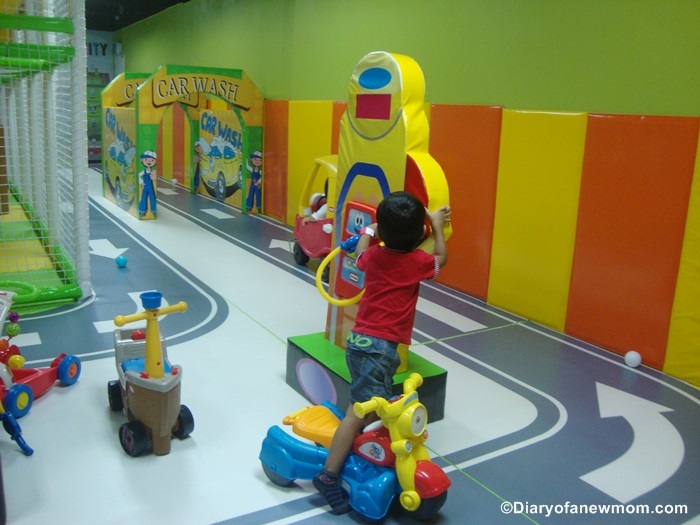 While imaginary playing opportunities are there, kids can also spend time actively on ride-on toy vehicles. 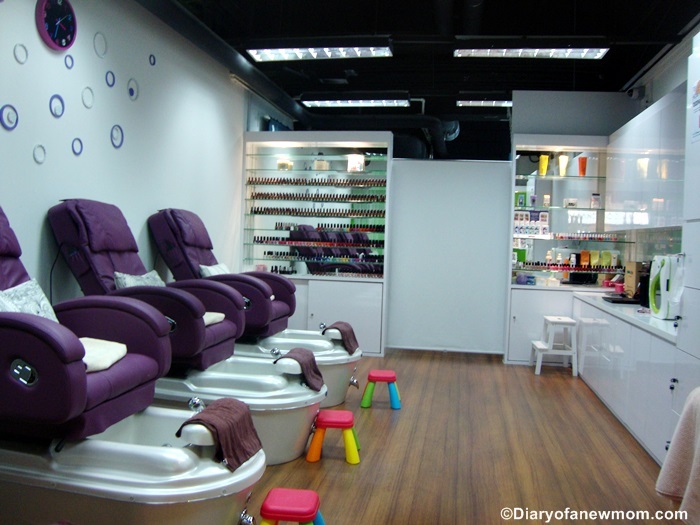 Nail Salon is one of the interesting things to highlight for my review. And don’t forget the friendly and helpful staff. They offer a really friendly service for the playground visitors. 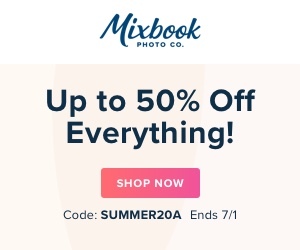 Simply use the rafflecopter to enter into the giveaway. Giveaway will end on 13th April 2017, 12am.We will contact the winners through a Facebook message or email. Disclosure:We received free entry for the Playkeroo indoor playground in order to facilitate this review. However all opinions are mine. Visit to the LOL Playland is our latest adventure! 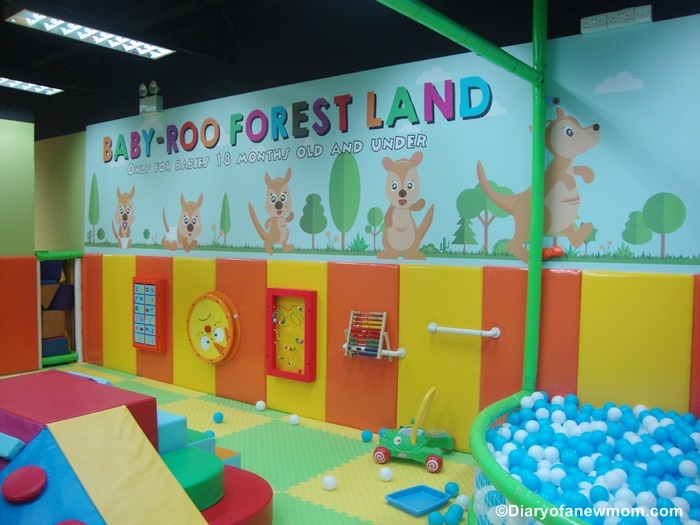 Located at the JCube shopping mall, Singapore; this LOL Playland is a dream for any active kid who loves to engage in both active play and pretend play activities. 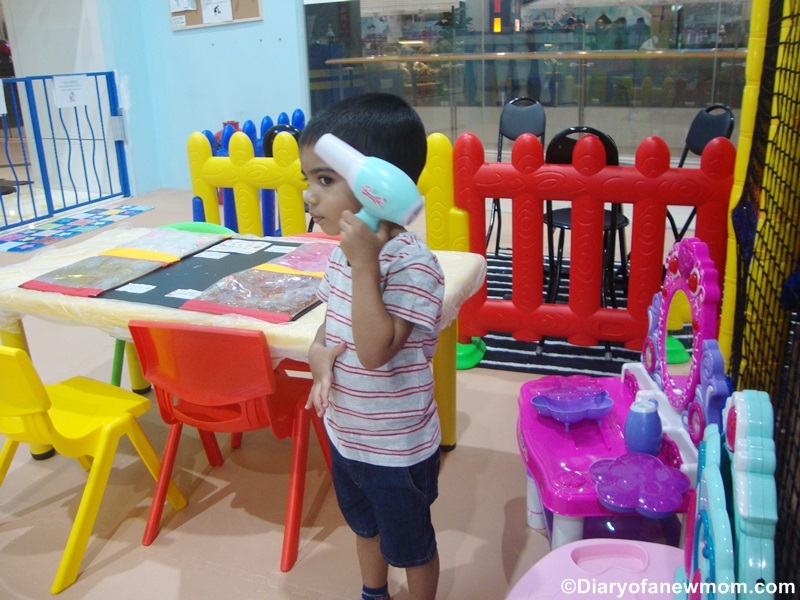 These days I visit many Singapore indoor playgrounds with my kid because I know the importance of actively engaging in play activities for the kids. So, here is my share with you because I know that parents around this blog are keen on raising active and happy kids! 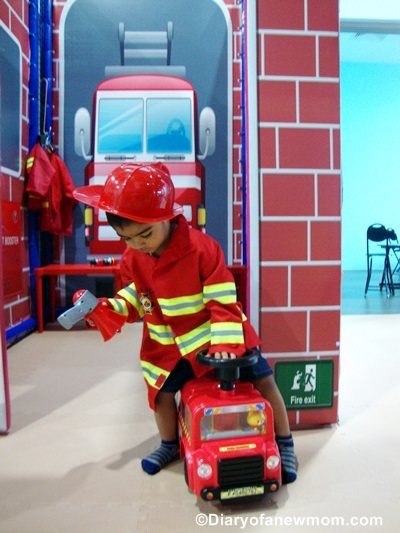 I am sure that you want to visit this newly opened Singapore indoor playground with your kids when you read this post about our experiences. Simply because, the experiences which my kid had are unique or not so typical! LOL Playland is not just another typical indoor playground in Singapore. 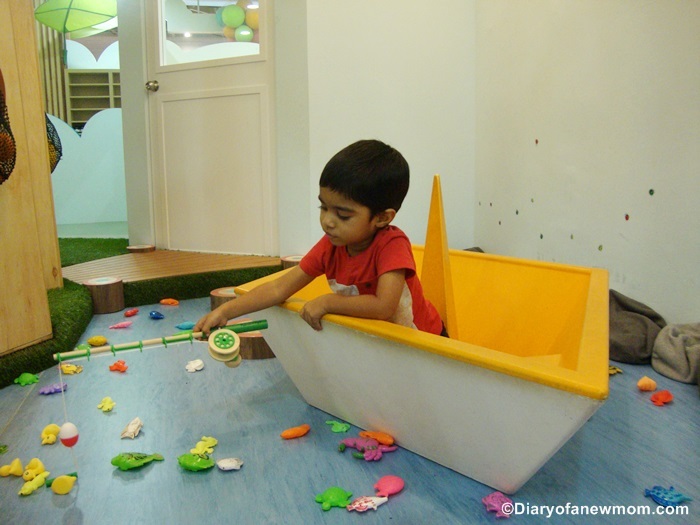 It is a dream of another mom who wished to have an indoor playground in Singapore West area which has facilities for both active play and pretend play activities. With proper planning and efforts, finally the LOL Playland is born with both active play and pretend play facilities for kids. 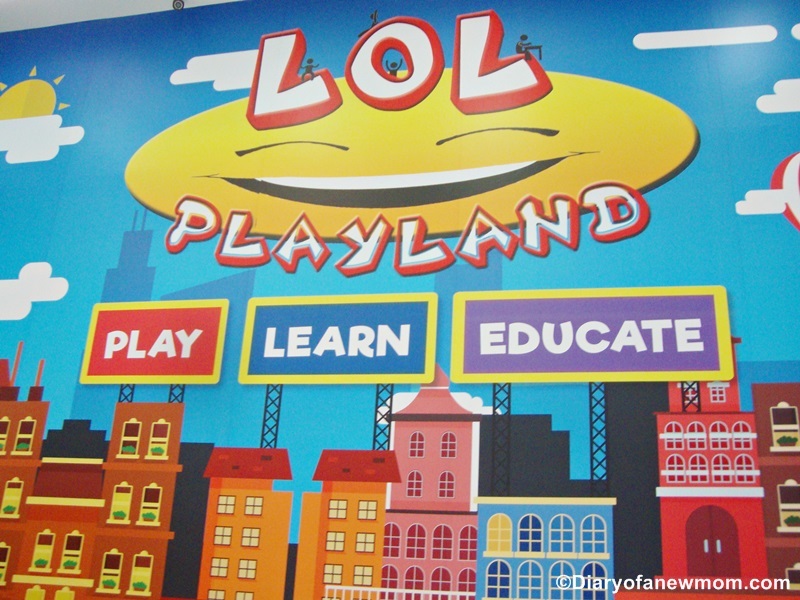 As LOL Playland is with many activities for kids of all ages, I think it is better to write my review post based on activities which kids can involve inside the playground. 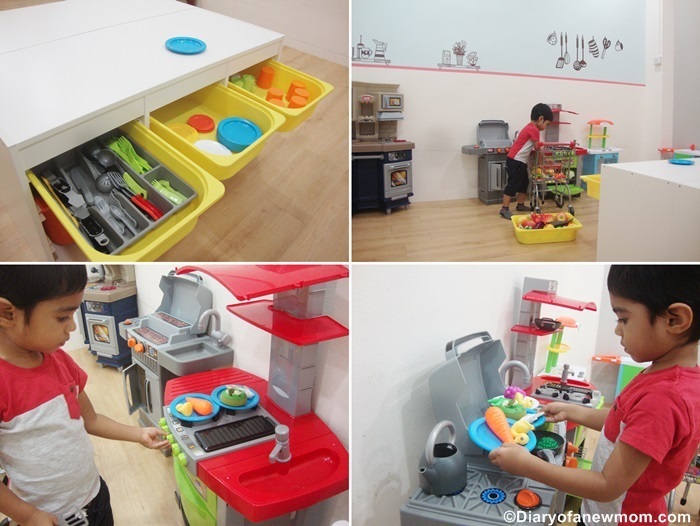 Toddler’s house includes both active play and pretend play facilities for young kids. The name says it all. The Toddler house is designed for toddlers. But my son who is nearly 3.5 years old now spent most of his time inside the toddler house and engaged with many activities. 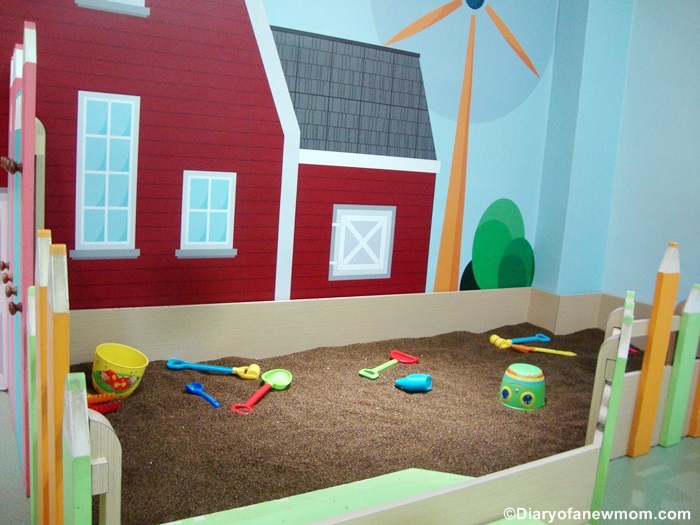 Toddler house is in pretty decent size and allow facilities for young kids to play both pretend play and active play. 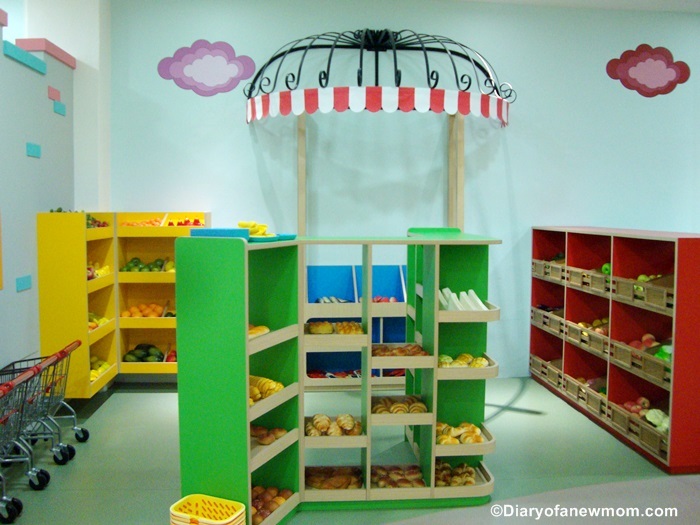 The first floor area is full of toys which are especially suitable for kids to engage in imaginary play activities. Some of the activities include shopping, selling ice-cream and cooking. There are also activity boards which toddlers can spend time on activities such as solving maze. Activity boards are so much fun! Hair Dressers!You have facilities too! Above the toddler house is full of active play ideas which kids can enjoy their time till they feel tired! 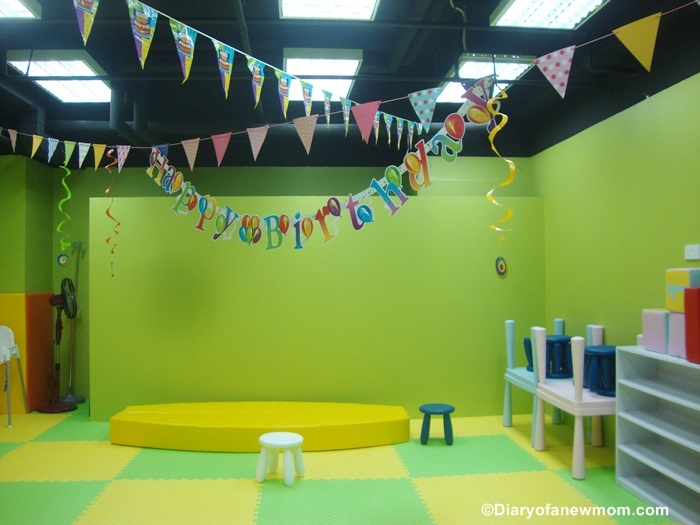 On the middle of the LOL Playland, you will find 3 rooms which are designated to role play activities for kids. 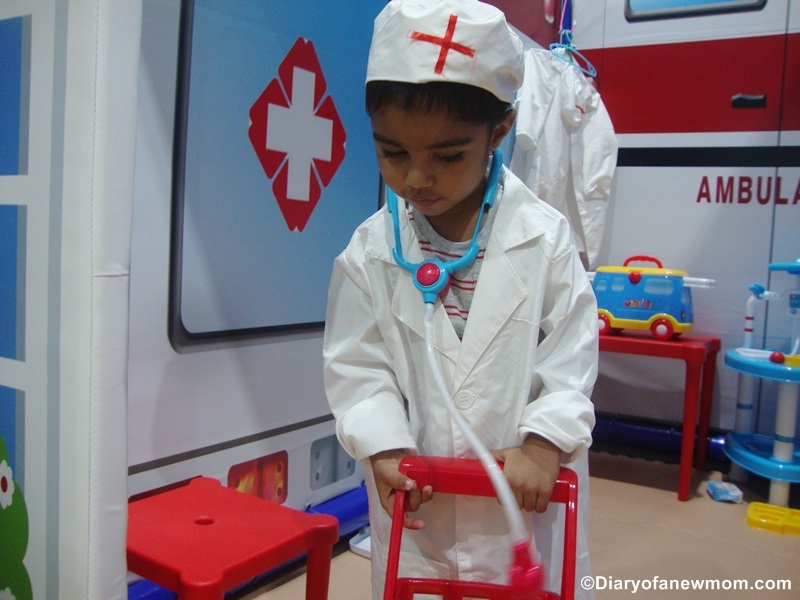 Kids can dress up as a doctor, fire fighter or as a policeman and engage in role playing. 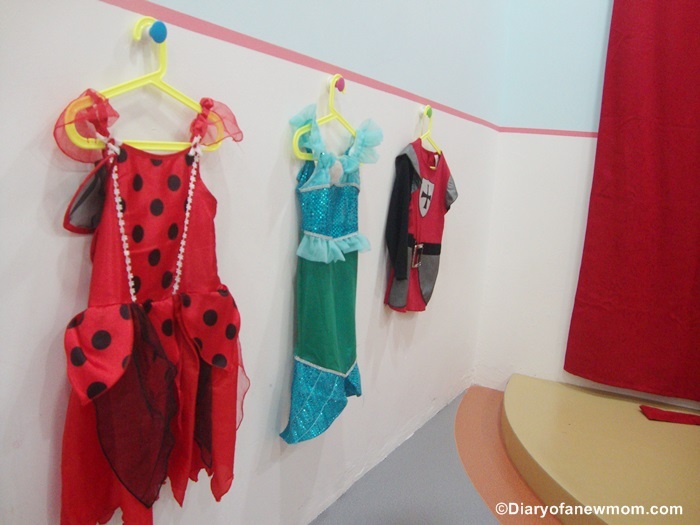 The rooms are equipped with necessary toys for role playing these professions giving the kids opportunity to explore their imaginations! 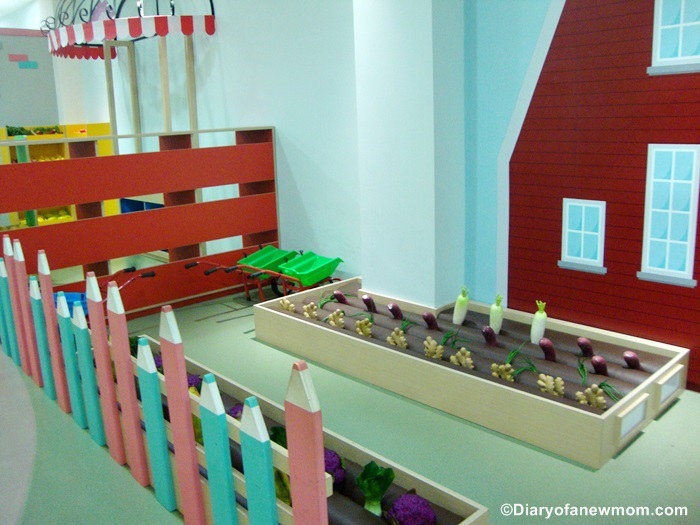 I love this facility as not all indoor playgrounds in Singapore come with role play activities like this. We found a fire fighter too! 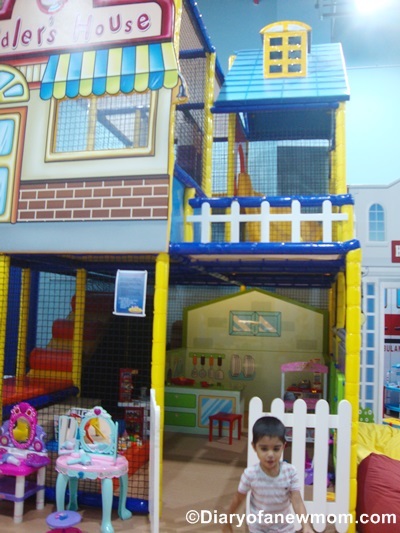 Active play area for kids…. Other than main activities of the playground which are active play and pretend play, this LOL Playland provides educational activities for kids making it a complete edutainment center. 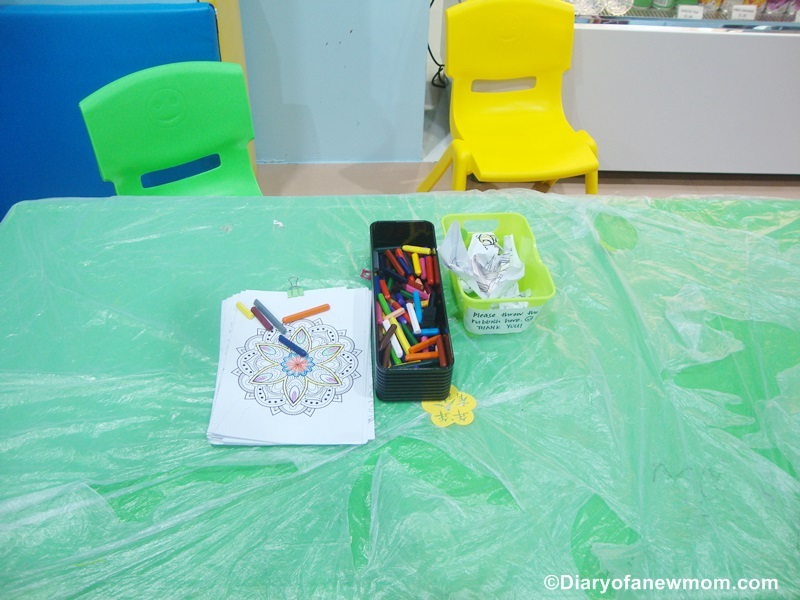 One side of the playground is equipped with tables for those kids who love colouring. The other side is with a table with sensory play activities. So, kids will never get bored as there are different activities which they can involve during their time in the LOL Playland. LOL playland has never forgotten the infants. They have dedicated a separate area for infants too. The playland comes with facilities for parents including seating areas, snacks, lockers and also with changing room facilities. 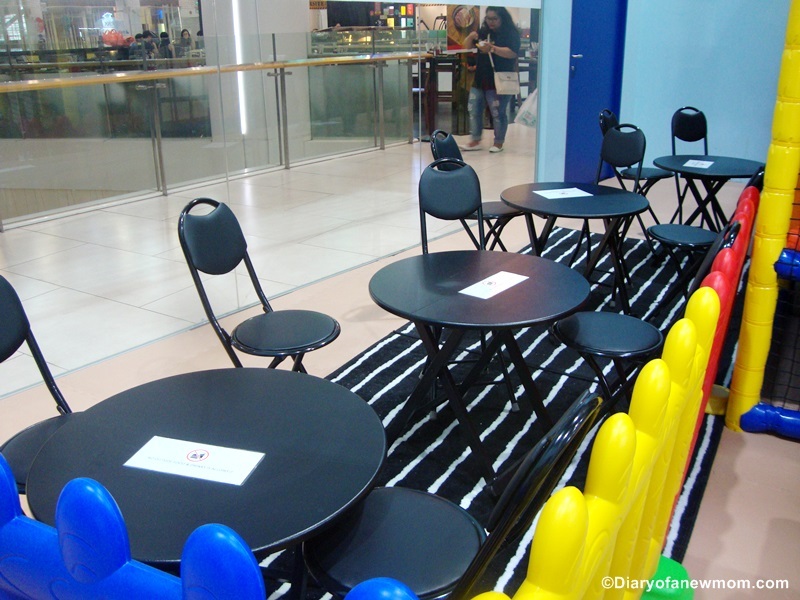 Parents can watch their kids by sitting on seating area. 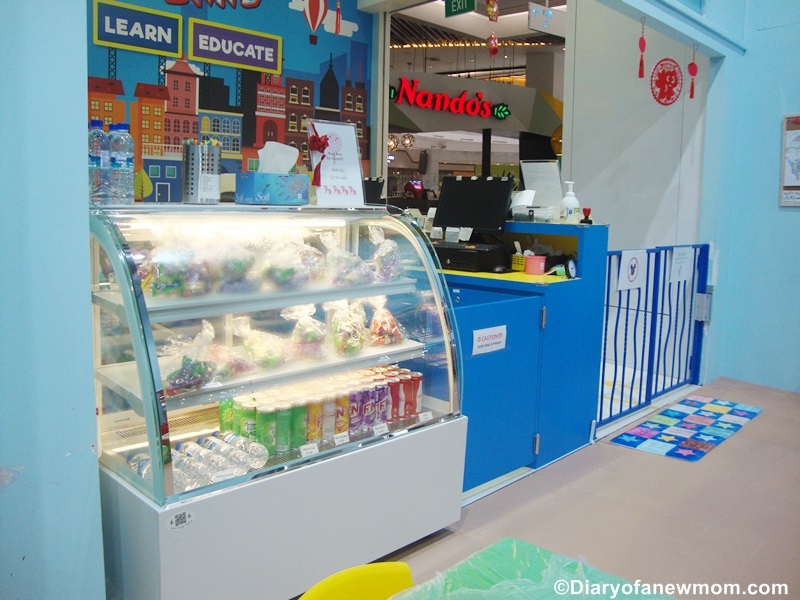 Parents can also buy snacks from the counter during the wait. 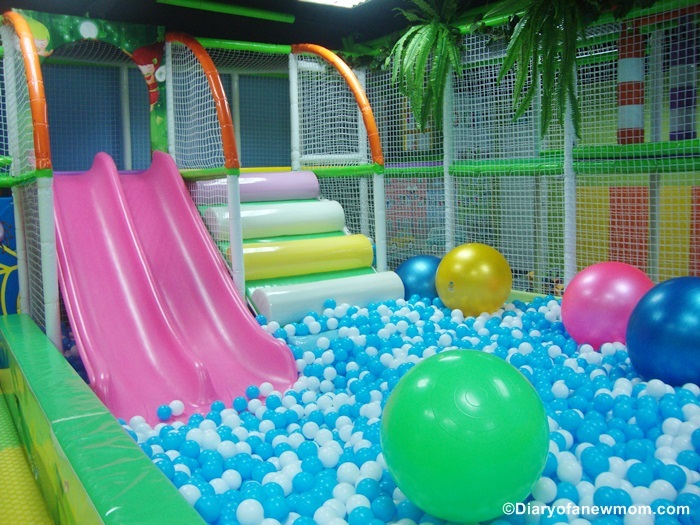 LOL Playland comes with a party room which parents can arrange their kids’ birthday parties. Other than the party room facilities, LOL Playland provides enrichment courses and other events which are helpful for both parents and kids. 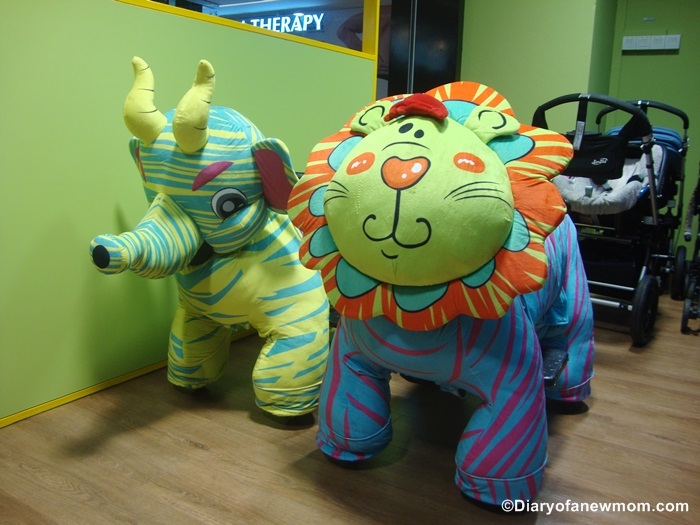 As a newly opened indoor playground in Singapore, LOL Playland is full of activities for both young kids and grown up kids. So far, I’ve visited different indoor playgrounds in Singapore with my kid. Some playgrounds such as Pororo Park are large in Size. Other playgrounds such as My Little Giant are with other entertaining activities for kids. Role playing activities are the best admirable activities for me as these days my kid shows more interest on pretend playing activities. All these activities are really worth for the entrance fee we have to pay. If you consider raising happy and healthy kids,I am sure you love to visit such playgrounds with your kids to allow them to play till they get tired! It is time for another giveaway. Managing team @LOL Playland happily sponsor 5 free entry passes to the readers of Diary of a New Mom. 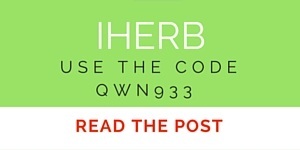 -By entering into the giveaway you agree to provide the mailing address if you win in order to post the entry pass. -Play passes will be mailed to winners through the normal mail. 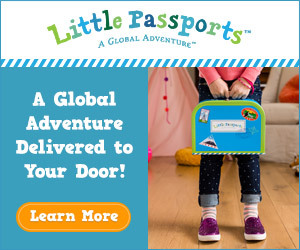 We Diary of a New Mom and LOL Playland will not be responsible for any lost mails. -Play passes are valid till 22nd May,2017. -Giveaway will end on 15th March 2017, 12am.We will contact the winners through a Facebook message or email. -In case we do not hear from you within 72 hours, we’ll select another winner. Disclosure:We received free entry for the LOL Playland in order to facilitate this review.However all opinions are mine. Did you hear it right? 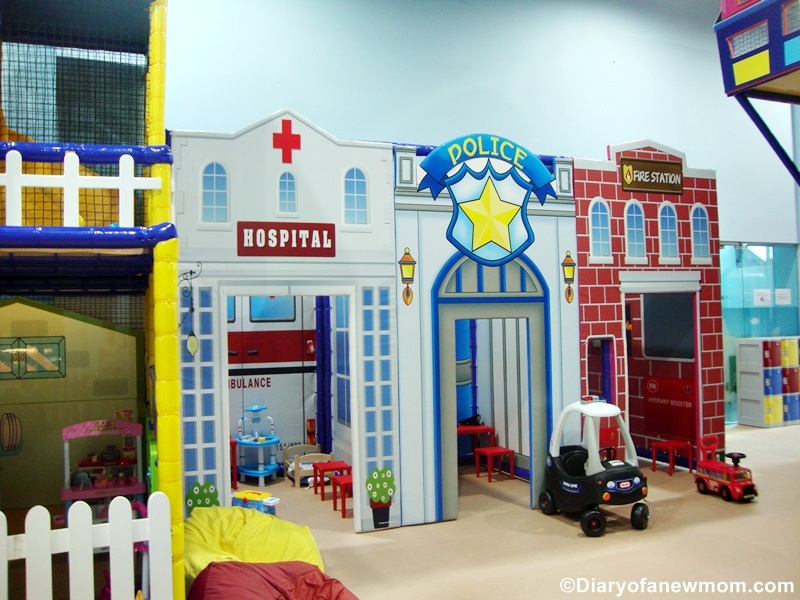 There is a new indoor playground in Singapore! 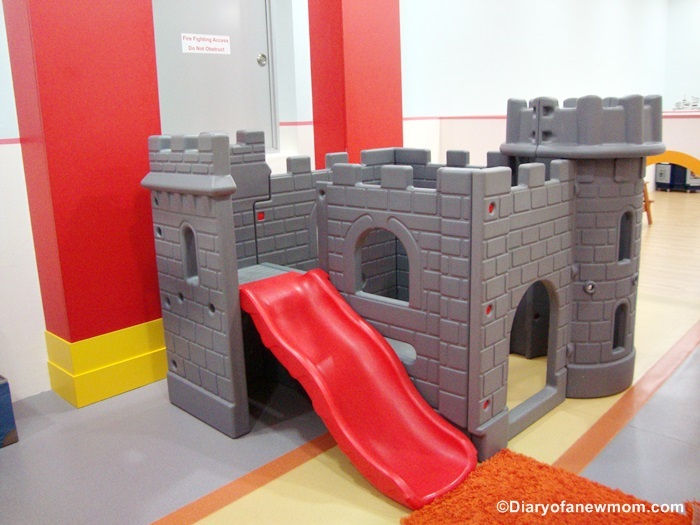 My Little Giant is the newly opened indoor playground for kids which has some unique features. 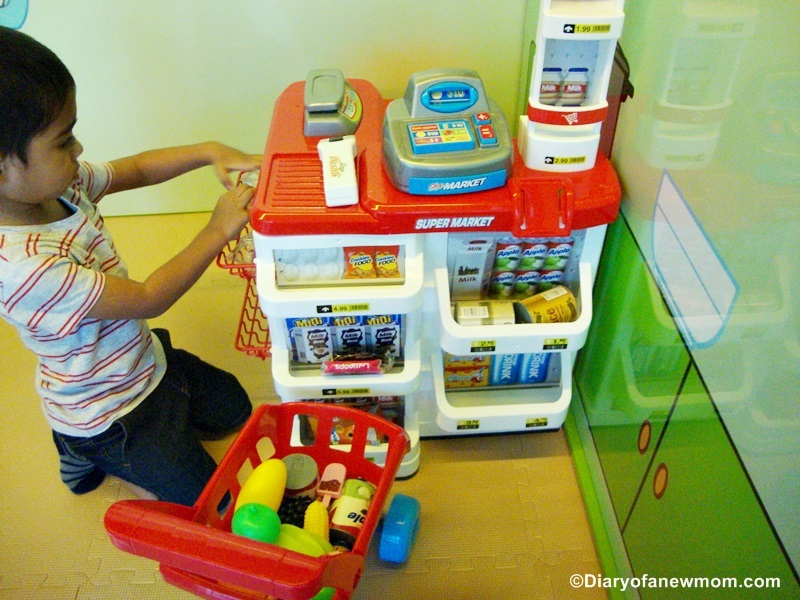 It is not just another indoor playground in Singapore which has typical play equipment. Instead, My Little Giant includes a kids Entertainment area as well. This side of gaming area will give you a carnival feel while playing games or experiencing rides on different play equipment including a train ride. Doesn’t this sound interesting? Sometimes, indoor playgrounds can be boring for parents. I’ve seen most parents spend their time on mobile phones while kids are playing. 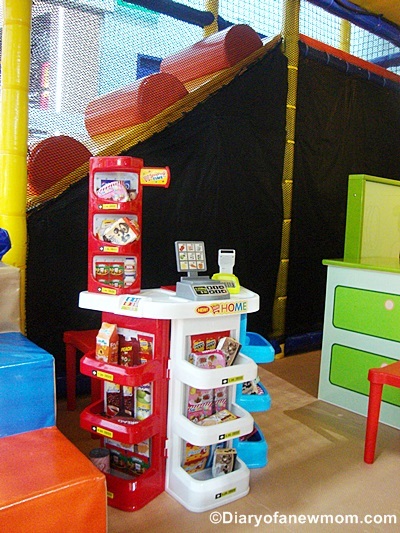 But, the gaming area of My Little Giant is really an exciting area for both adults and kids to have fun together! And it is located in the popular shopping mall, Big Box which is easy to reach! Early this month we spent an afternoon at the Pororo Park and had a great fun.After that, My Little Giant is entirely different experience which includes carnival experience while spending time at the indoor playpark.We spent an afternoon there and had really exciting time in both gaming area and inside the playground. Here are some of the moments from our experience. This area will sure give you the feeling of carnival. Among the train rides, carousel and other kiddy rides, who can forget the carnival experience! My kid really loved the train ride. Not only him, I enjoyed the train ride too. The games and entertainment area is full of activities which are also suitable for toddlers and young kids too. My favourite activity is this train ride! 🙂 Isn’t this too cute? A rocket and cars around!Perfect for kids to enjoy! Other than the train rides, carousel and kid friendly rides, this area is full of different entertainment activities which both kids and adults can enjoy. There are different games which you can enjoy with kids forgetting all the stress of a hard working day! Before you enter into the indoor playground area, you need to remove shoes. The facilities are there to keep the shoes. At the entrance, the staff will do the usual procedure for any indoor playground such as measuring temperature and sanitizing the hands. They also gave us a tag to wear on hand which allow us re-entry within the day! Isn’t this a good idea? Ball pit is really interesting and I really love the colour combination of balls. Blue and white balls give eye pleasing look and we had so much fun there. For toddlers there is a play area inside My Little Giant. 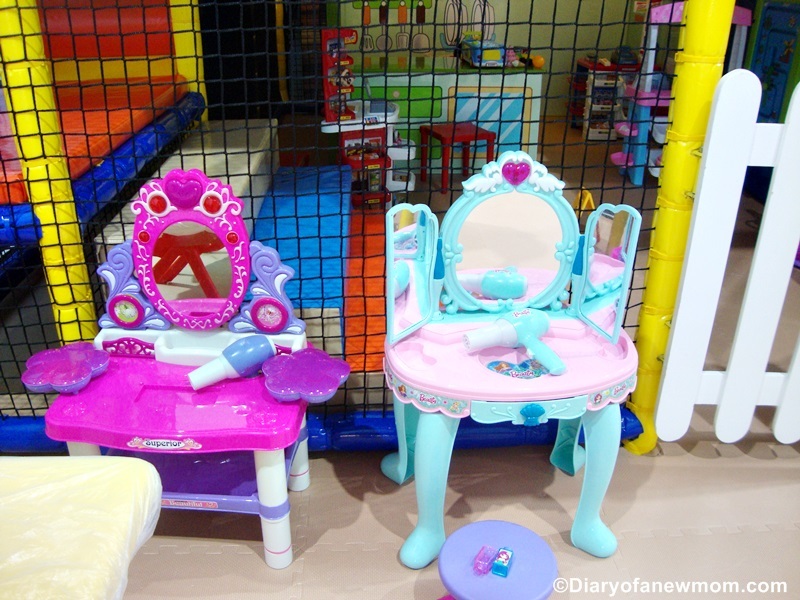 With play items that are suitable for young kids, the play area is really spacious! Level 2 of the playground is with the access to the giant slide and other play items. It is with lot of climbing, bending, jumping and sliding which are suitable for grown up kids to be active and shed some sweat! The newly opened playground is really full of exciting activities. The staff is friendly and ready to assist. They concern the safety and hygiene first. With new and clean play area, anyone will have so much fun while spending quality family time. And don’t forget the fact, it is unlimited play! With the tag on your hand, you can also re-enter within the day! At the entrance we received a tag which allow us to re-enter to the play area within the day.Isn’t this sounds so good? My Little Giant is located at the Big Box. For Ticket Price & More details,please check here. **Disclaimer – We received free entry for the playpark.However all opinions are mine.